Artistic Vision at the Boston Symphony Orchestra?? Jeremy Eichler (music critic at the Boston Globe) has recently worried that James Levine is not providing the BSO with strong leadership, while “Across the country orchestras are updating their approaches to programming with the goal of engaging listeners – current and potential – more broadly, deeply, and imaginatively.” I attempted to engage the artistic leadership of the BSO with constructive criticism, writing several times (since the fall of 2008) to Maestro Levine, Managing Director Mark Volpe, and most recently, at the suggestion of composer Augusta Read Thomas, to Anthony Fogg, Artistic Administrator. I never received any acknowledgment. My point was simply that the BSO’s programming consistently ignores compositions by women composers. The one or perhaps even two pieces by women that may be included per season are just the exception that proves the rule, that at the BSO, the prejudices of past centuries and decades are continuing to keep music by women from being considered for performance. The text of my letter follows. First of all, let me say what a fan I am of yours. Your work both with the BSO and with the Met Opera make you truly a national treasure. The programming at the BSO has been varied, challenging and extremely engaging. The performances are of a remarkably high quality, and when I cannot attend in person, I always make sure to listen on WGBH. How lucky we are here in Boston to have your artistry available to us! The Met opera live HD broadcasts have become a new pleasure of mine, and I believe this way of reaching audiences is going to revitalize opera around the world. As an educator I am working to design programs and classes that will complement the HD programming. I do not ask that you offer works by women special consideration for any kind of “affirmative action” — to redress past injustices. Rather, I ask you to realize that audiences today continue to be denied the opportunity to hear some important, powerful and exciting music. 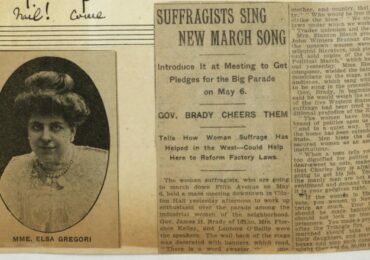 Among the large repertoire of music composed by women, some of it will prove to measure up with the standard repertoire. To continue to deny it the chance of being heard is to deny ourselves artistic opportunities of unknown magnitude. I ask you to approach this repertoire as a fresh start, consider the scores, and decide what works appeal to your aesthetic sense, and that audiences will benefit from hearing. 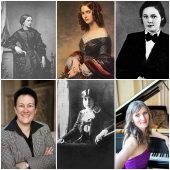 Traditional musical training and practice has not informed us about the range of works by historic women, therefore I offer several suggestions here. Louise Farrenc –three symphonies, two overtures, from the 1840s, published 1998-2003 by Florian Noetzel Verlag. US agent: C. F. Peters; one overture also available from Hildegard Publishing Co. I am sure that you know Amy Beach’s “Gaelic” Symphony of 1896. 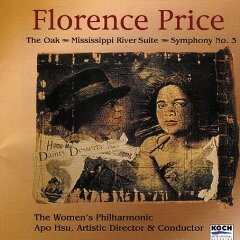 Since the BSO premiered this work, how wonderful it would be to hear them do it again. But even more important would be to perform her Mass of 1892 — while there are now two fine recordings of the Symphony, there is no acceptable recording of the Mass. To point out one other work by Beach in a much later style (more expressionistic and post-romantic), her Canticle of the Sun (1928) for chorus (with soloists) and orchestra, was published by A-R Editions in 2006. Another Boston composer (although born is Scotland) is Helen Hopekirk. Her Concertstücke for piano and orchestra (of 1894) was recently given a successful performance in London. Fanny Mendelssohn Hensel: several cantatas, oratorios, and an Overture (1830s- The Overture and one oratorio are available through the Philadelphia Free Library, other works are published by Furore Verlag. 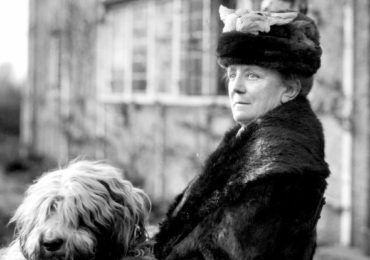 Germaine Tailleferre’s piano concerto was another work premiered by the BSO (in 1925). Her Concertino for Harp and Orchestra is another important work (I suspect that Ravel was influenced by this piece). Rebecca Clarke is a composer who I have researched extensively. Her Sonata for Viola (1919) is well known in the original version for Viola and Piano; since its rediscovery it has become perhaps the most frequently performed large work for viola and piano. Composer Ruth Lomon has recently completed a fine orchestration of this work, and it has had two performances by regional orchestras. Of 18th century composers, perhaps a suite could be extracted from Maria Antonia Walpurgis’s opera “Talestri, Regina Delle Amazoni” (1760). Marianne Martines was a prolific composer, and her Psalm settings for chorus and orchestra (Ps. 110 and 114) I can particularly recommend (published by Furore Verlag). This list is short and arbitrary, but it is a start. I have focused on historic women because I feel living women face fewer of the obstacles that were present in the past (certainly they face some, but progress has been made). I am happy to meet with you at any time or to be of assistance in helping find obscure or unpublished music. Also I am gathering a group of local music lovers and supporters who would be interested in discussing the importance of this issue with you.